This is our turn-key ECU package for those who are running a non vtec engine and would like to tune using the Hondata S300 Version 3 system. 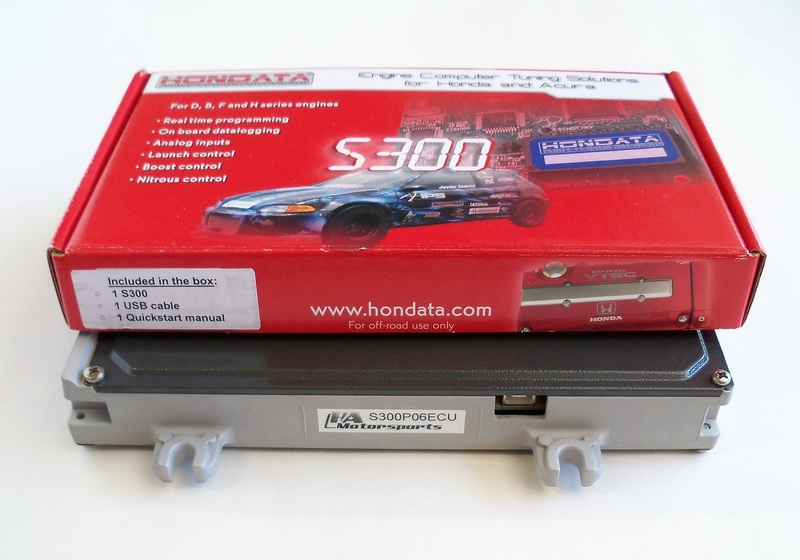 Comes complete with one of our fully reconditioned OBD1 non-VTEC ECU's and fully pre-installed brand new, serialized Hondata S300 version 3 system, software (now downloadable from Hondata), USB cable, and pair of Hondata stickers. If you are going to use a Hondata Boost control solenoid with this ECU, select "Add PWM boost -yes" from the drop-down menu. For non-turbo setups, this is not necessary. New Hondata S300 V3 system fully installed and tested. Software includes default list of basemaps for common engines that you can choose from. 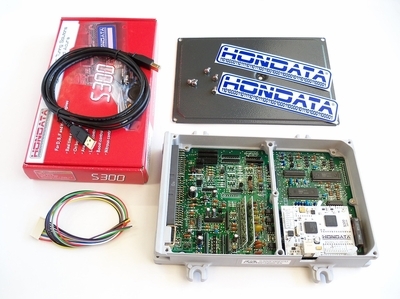 For more advanced engine setups, see our Hondata S300 Custom Basemaps. Laptop computer running Windows XP, Vista, 7, 8, or Windows 10 (laptop must have atleast 1 available USB port). Internet connection to register the system.